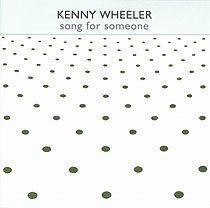 Kenny Wheeler, trumpet, flugelhorn; Ian Hamer, trumpet; Greg Bowen, trumpet; Dave Hancock, trumpet; Keith Christie, trombone; Bobby Lamb, trombone; Chris Pyne, trombone; David Horler, trombone; Jim Wilson, bass trombone; Malcom Griffiths, bass trombone (track 5); Alfie Reece, tuba; Duncan Lamont, tenor saxophone, flute; Mike Osborne: alto saxophone; Alan Branscombe: piano, electric piano; John Taylor: electric piano; Ron Mathewson: bass; Tony Oxley, percussion; Norma Winstone, voice; Evan Parker, tenor and soproano saxophone (tracks 4, 5); Derek Bailey, guitar (track 5). Recorded at Olympic Sound Studios, London on 10 & 11 January 1973. Previously released on LP as Incus 10.